Hello, I'm Mark, a graphic designer based in London, working in print and on the web. Please have a look through the site and if there is anything I can help you with please email me at mark@markknightdesign.co.uk. A well designed logo is key to achieving a good first impression. Your logo is seen by everybody and says a lot about you and your company. You need to get it right. Email or call me today to make that first important step to get your business noticed. "Ah the smell of print!" The internet is great and has become essential to our daily lives but I can't say it smells good. Whether it is a brochure, a newsletter, a leaflet, a flyer, a postcard, a mailer, a poster, packaging, an exhibition panel, an advertisement or a taxi livery, basically if you can print it, it first needs to be well designed. Design is essential to get your message across loud and clear. Whatever the size, from a tiny ad to a huge poster, please do contact me to discuss your requirements. Click on the images opposite to see more information. 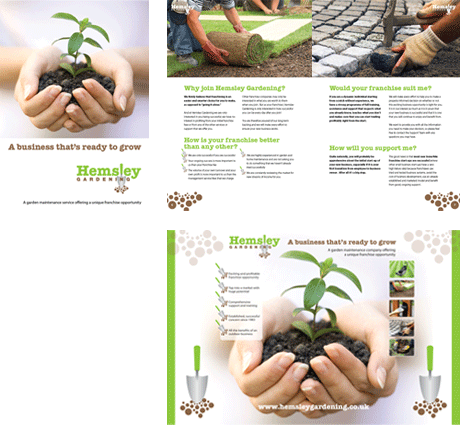 Hemsley Gardens, a one-stop garden maintenance service, based in Oakham, Rutland, required a new look. After submitting several designs the trowel based logo was chosen. Using the colours and typeface from the logo the design was continued onto a brochure and exhibition panels. 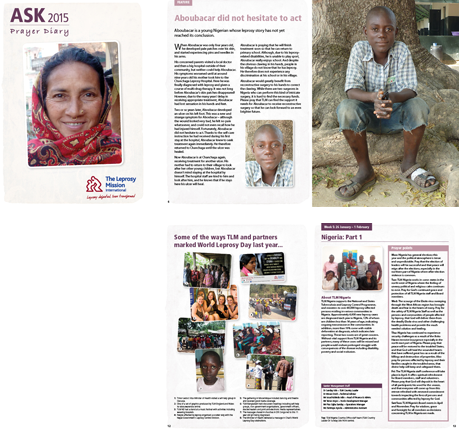 Following on from a rebrand, the Leprosy Mission needed to update their introductory booklet. Adhering to the brand guidelines I designed a crisp and eyecatching layout using photographs, brand colours, callouts, quotes and facts and figures to complement the text. Interserve wanted to update their quarterly magazine, making it attractive to a new and perhaps younger audience, while retaining readership among their long term supporters. In partnership with my wife Heather, we developed a contemporary and fresh design, incorporating Interserve's new branding material and reflecting the more relevant, sharper focus of the magazine. 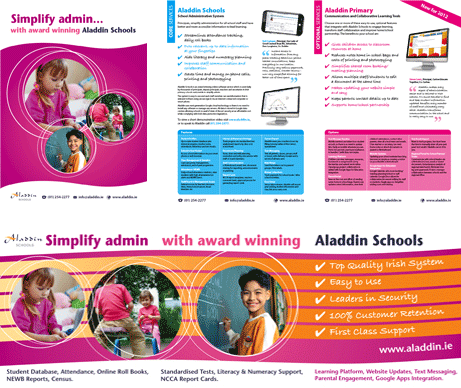 Aladdin Schools is an award winning online software service that simplifies school administration which is purpose built to meet the needs of primary schools. The images, opposite, show some of the media designed for the BETT and IPPN conferences. 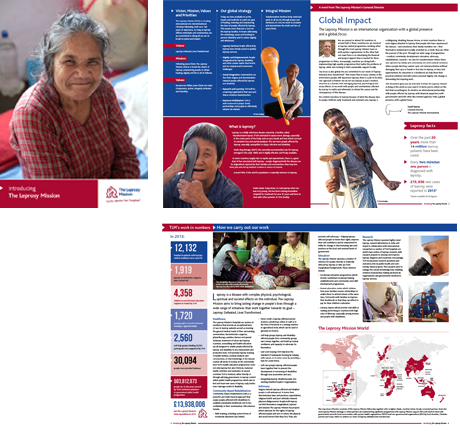 The Leprosy Mission is a leading international Christian charity that serves a population of 305 million people across over 200 projects in 26 leprosy-affected countries. 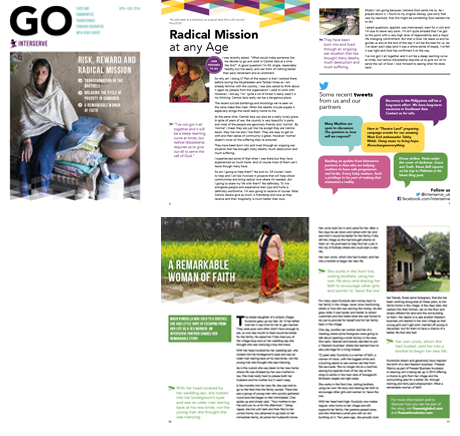 Each year they produce a Prayer Diary for their supporters and staff. Important factors to include in the design were clarity and good use of pictures while making it easily readable and attractive. 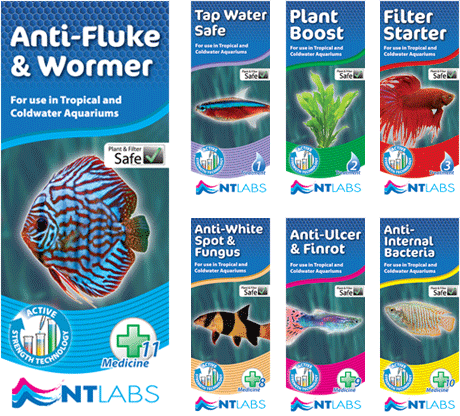 NT Labs are a fish health and fish food specialist for aquarium, marine, koi and pond environments. The brief was to repackage their aquarium range of medicines and treatment. Working closely with NT Labs I produced a set of packs that stands out well against their competitors. The internet is now the first place where a potential customer or client will look you up to find out about your business, organisation or charity. A web presence is essential. A well designed and functional site is a must. Working with charities, SMEs and blue chip clients I have designed and produced content managed sites (one where you can upload content yourself) brochure sites and microsites. Please contact me to discuss designing and building a new site or redesigning your current site. 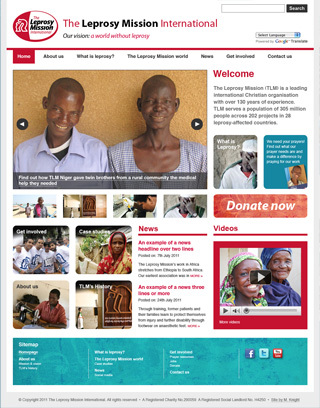 The Leprosy Mission International commissioned me to redesign their website recently. A major part of the brief was to make the site content managed. The CMS (Content Management System) needed to be easy to use and update. Other necessities were a rolling slideshow on the homepage, an interactive world map, an updateable news section and a social media page with Facebook & Twitter feeds and a YouTube library. 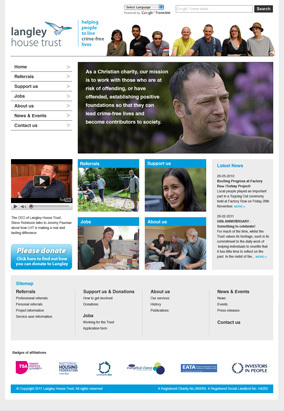 The Langley House Trust, a charity that provides resettlement services for ex-offenders required a content managed site to enable them to update sections themselves. The design brief was to create a branded, clear and informative site. Photographs feature strongly, used pictorially and as buttons. 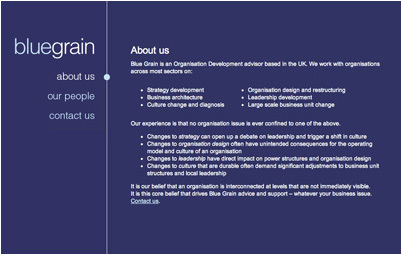 Blue Grain, an Organisation Development advisor company based in the UK needed a simple, clear professional website. The look of the site followed on from the design of the logo. 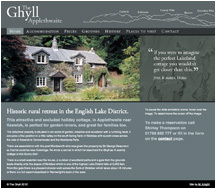 The owners of the Ghyll, a holiday cottage in Applethwaite in the north east of the Lake District, approached me to create a site to advertise the cottage. I used the colour of the Lakeland slate as a theme for the site. Based in London, I have been designing for over 20 years in a wide range of media. I graduated from the University of Westminster with a first in Graphic Information Design and went on to work at the BBC as a TV graphic designer. Since	leaving the BBC I have worked in a design and advertising agency in London. I have a young family and when not spending time with them I enjoy running. I have quite a few half marathons under my belt and have the London Marathon on my to do list. I love walking in the countryside and list the Lake District and the Scottish Highlands as some of my favourite places.